If you’re a business owner, chances are you’ve probably heard a thing or two about and the amazing benefits it has over traditional marketing techniques. However, that doesn’t necessarily mean you’ve been making use of it. If you’re one of the few businesses not taking advantage of the insane ROI of content marketing, what are the reasons why? Could it possibly be that your business has been too focused on other traditional marketing strategies? If this is the case, then you are missing out on one of the most cost-effective and fruitful strategies in the game. Don’t believe us? Just take a look at the facts. According to (CMI), over 88% of businesses in North America understand the importance of content marketing in meeting their business goals. 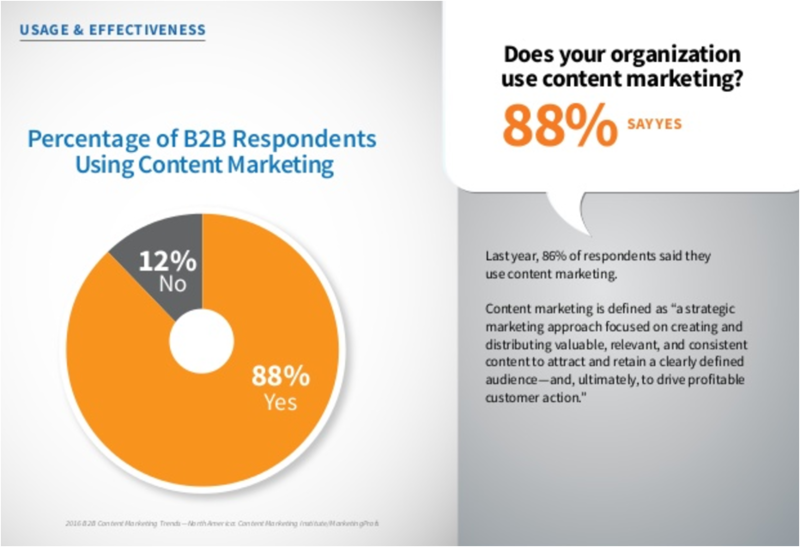 What’s even more interesting is CMI found that a whopping 93% of B2B marketers use content marketing and 72% of marketers are producing a significant more amount of content than they did a year ago. According to statistics from last year, it’s also estimated that companies are increasing their content marketing budget by an average of 75%. In these companies, departments that deal with content marketing also had a 43% increase in staff members. 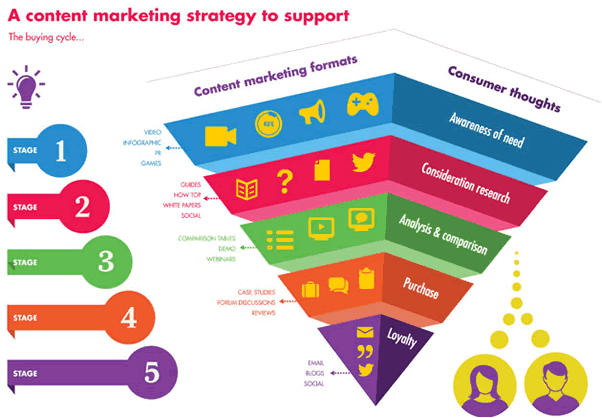 If you haven’t started using content marketing as a strategy to steer your business to the next level then, now is the best time to start emulating the same tactics that every successful business is implementing in order to help achieve their strategic goals. When you use content marketing, you’re harnessing a powerful inbound marketing technique that can help spread awareness of your brand, establish your business as an authority in the industry and help to both drive traffic and increase conversions. Content marketing has been employed by both small and large businesses alike because of one main reason—It’s effective. Content marketing also plays a major role in customer retention, especially when used in conjunction with email marketing techniques. The future keystone of business marketing is content. It is after all the building block of all forms of traditional and previously established marketing. 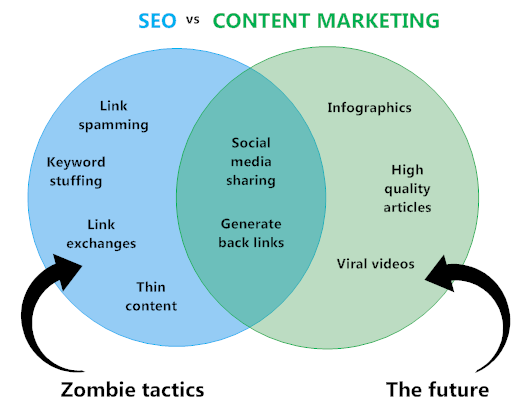 Without content, there would be no PPC, SEO, social media or PR. Millions of users search the web to find engaging content. This as a result creates a unique environment for different businesses looking to increase their presence in the digital world. If you are a business that has not employed content marketing, you should know that your competitors have already invested in it—so what are you waiting for? Before I give you five major reasons why content marketing is the key to giving your business an extra boost over the competition, it’s important to note one thing. Content marketing in the absence of a is a waste—plain and simple. According to the Content Marketing Institute, 60% of the most effective marketers have a documented content strategy and marketers with a documented strategy were shown to be much more likely to consider themselves effective at the process. What is/are your ultimate ? Is it to boost product sales? Would you like to drive traffic to your website or help build your email list? When you’re able to formulate a strategy, you can then agree upon the best tactics to help implement that strategy. For instance, let’s say your goal is to build your email list. You’re a new business and you’re looking to generate email sign-ups and then nurture those leads into paying customers. If this is the case, then producing high-quality gated content would be an ideal option. Gated content is simply high-quality content such as case studies, white papers, infographics, or webinars that require the user to fill out a form in order to gain access to them. This form of course is your cleverly crafted and well-optimized email sign-up form. Once users input their information (i.e. their emais) they are able to download the content or access it via a private link. 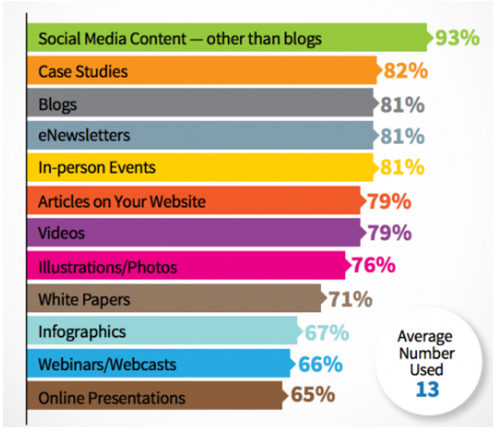 In 2016 the most popular types of online content that businesses used in content marketing were webinars and case studies and the most popular platform for content marketing was social media, which was used by 87% of marketers. 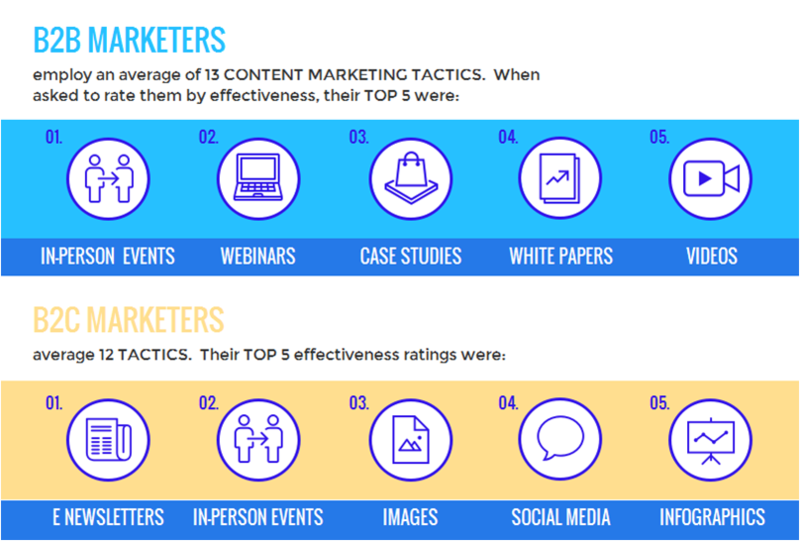 The following graph shows other various types of content marketing tactics that are also most often used. As you can see, there are innumerable ways in which your business can package and distribute branded content in order to further their marketing strategy and goals. is important in content marketing because it offers you opportunities for backlinks and thus, referral traffic. To reap the most from this particular tactic, it is always advisable to guest post on high-authority sites in your niche which not only cater to your target demographic, but are also known to have high traffic. In such cases, one or two guest posts can quite easily lead to thousands of visitors to your main site. The term “conversion” is relatively ambiguous in nature and could mean something completely different from one business to another. However, this is just another point which further expounds upon the versatility of this marketing strategy. Whether a conversion for your business means an email sign up, a webinar visit, a social share or a hard sale, content marketing is statistically proven to help assist with all of these when properly implemented. In fact, according to Aberdeen, conversion rates are about 6x higher for those adopting content marketing into their strategy as opposed to those who don’t. 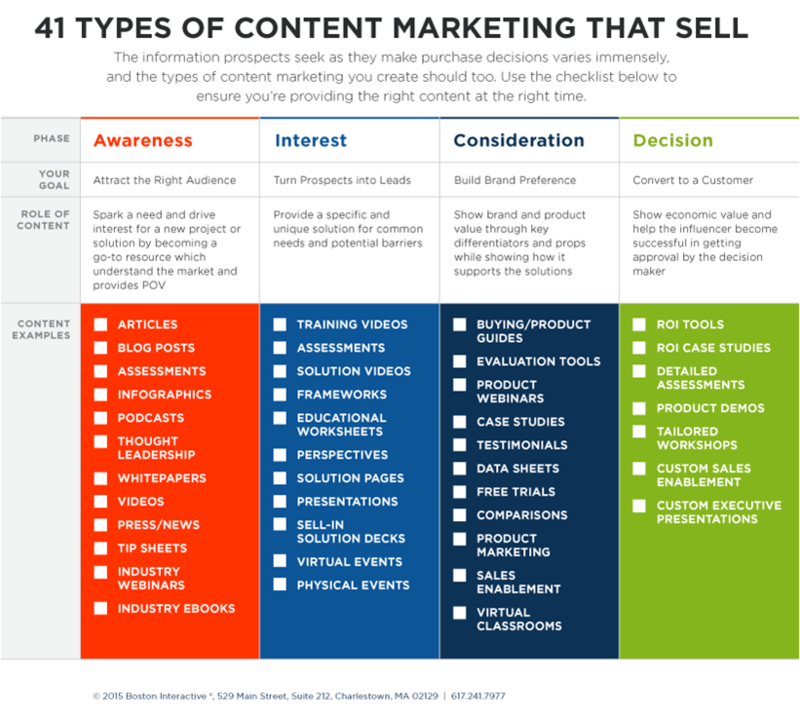 These of course are nowhere near the only considerations taken, however that doesn’t mean that they are any less important and lucky for you—content marketing helps build both. When you work to effectively optimize your content with target keywords and update on a consistent and regular basis, you are increasing your websites rank in the search engine results pages. Not only does effective and consistent content marketing increase your visibility, but it also helps to increase your domain authority. 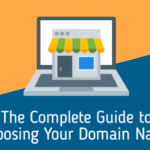 Posting quality and valuable content not only works to spread awareness and increase your industry authority; it also works to increase your domain authority. When you increase your visibility, you increase traffic and thus help to spread brand awareness and industry authority. When you consistently update and optimize properly, you’re building trust with not only your audience, but Google as well. When Google trusts you, it feels much more comfortable promoting you to its user-base (i.e. search-engine visibility) and thus, your domain rankings increase. 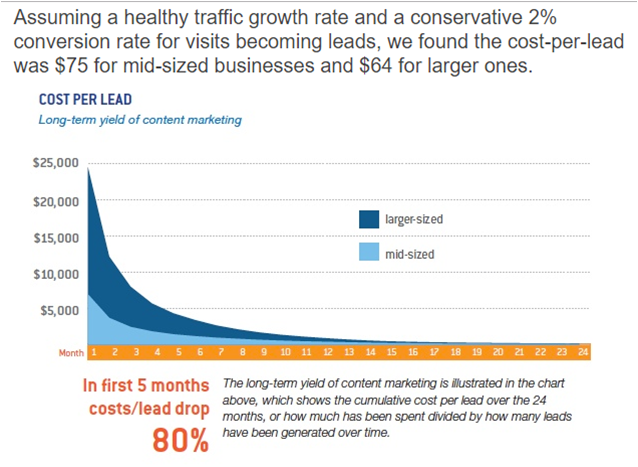 According to recent research by Demand Metric, content marketing costs on average about 62% less than traditional marketing techniques, yet it generates about 3x the leads. If you were looking for proof on the insane ROI of content marketing—then you’ve found it. Anyone in the industry can use content marketing strategy to increase sales as long as the right channel is used. The sooner you employ content marketing in your business the higher the chances of seeing positive results early. 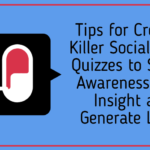 Okay—so you understand how killer content marketing can be to achieving your strategic goals—so, where do you start? Patience is important because when you begin implementing a content marketing strategy you’ll have to wait before you start seeing results. Don’t forget that it is a long-term marketing strategy. You are running a marathon here and it’s much better to have the mindset of the tortoise than the hare. Market research. Come up with a laser-focus when it comes to reaching your target demographic, then tailor the content, tone and style so that it’s optimized for reception by your audience. Your content should be available in different forms that can be accessed easily by your target audience. 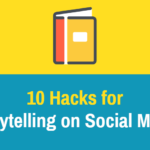 Keep in mind that content is quite often re-packaged for use on different channels/platforms. For instance, you can turn a blog post into a podcast, infographic, video or presentation all by simply repurposing the same content. The quality of your content is of utmost importance. What constitutes quality content? Well, that can depend on a number of factors based on your target demographic, but the one rule you should always abide by is to make it both useful and consistent. 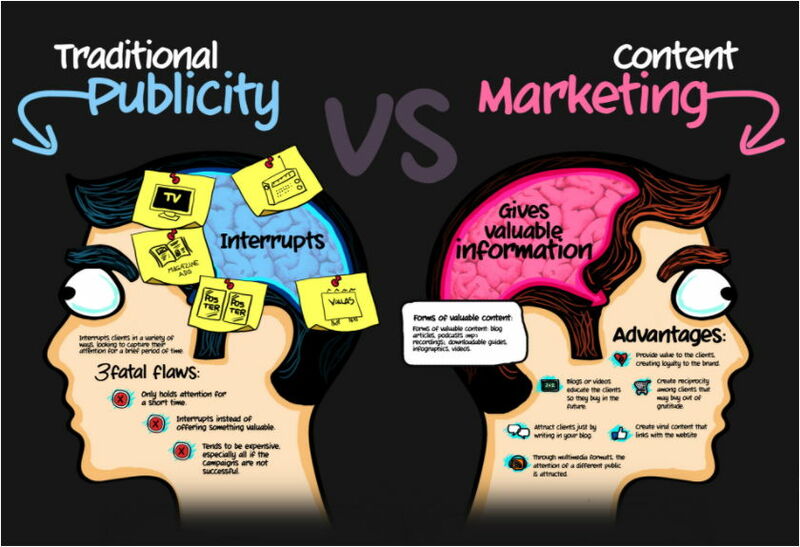 Content marketing is one of the most effective and efficient inbound marketing strategies out there. If like many businesses, you find you simply don’t have the time to create quality content, it is worth noting that you should always consider outsourcing. In fact, according to the TopRankBlog, around 64% of B2B marketers outsource their writing. Hey, if you’ve realized that you can’t do it alone, it’s because you are fully aware of what it takes to create high-quality, valuable content that will work to effectively engage your audience and lead them through your sales funnel—this is a good thing. 78% of business leaders believe that content is the future of marketing and with 69% of marketers declaring content as superior to direct mail and PR, it’s hard to ignore. Don’t get stuck in a rut with antiquated and pre-established techniques. Just because they’re tried and true doesn’t mean they’re the best. So what are you waiting for? 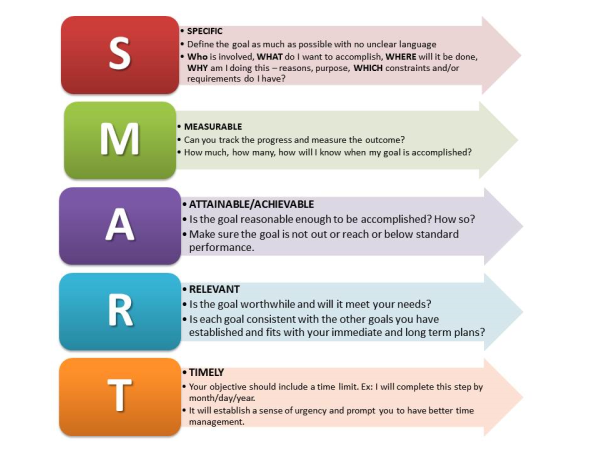 Get out there and implement this strategy today and unlock the door to the achieving your highest ROI yet! 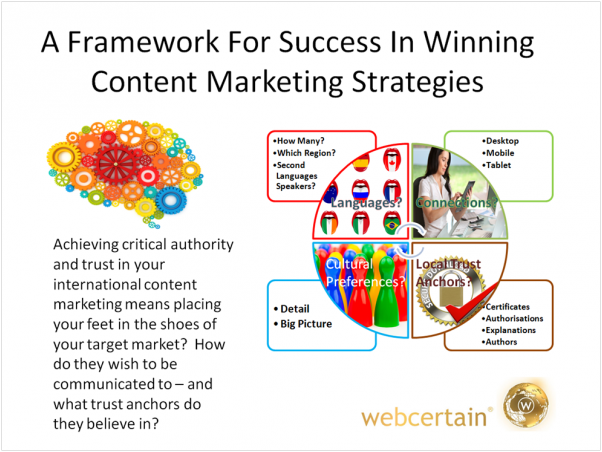 Does your business have a content strategy? Tell us some tips and techniques that work for you!